The story of a wheelchair-bound future Tsinghua University student who was offered a rent-free apartment after asking the school for an individual dorm room for his mother and himself made headlines after being made public on June 26. The boy, Wei Xiang, is one of the 9.4 million people who sat this year's college entrance examinations on June 7 to 9, known as the gaokao. He scored 648 points out of 750, and was among the top students this year in his hometown Dingxi, a poverty-stricken city in Northwest China's Gansu Province. Wei's admission to prestigious Tsinghua follows the introduction in 2012 of a special recruitment plan targeting students from poor rural areas. About 10,000 such students are recruited to universities nationwide each year, according to the website of the Ministry of Finance. Wei, 19, has suffered from spina bifida since he was six months old and eventually lost the function of his legs. Wei's mother, a local nurse, carried Wei on her back between school and home every day for 12 years after Wei's father died of liver cancer in 2005. Wei and his mother, Xia Ruiyun, travelled from Dingxi to Gansu's capital city Lanzhou to attend a university enrollment consultation after learning of his high score. Xia told Tsinghua University teachers about Wei's health, and asked whether the university could offer him a single room rather than a bed in a normal students' dorm, so she could live with her son and take care of him, the Beijing Youth Daily reported. They were told to write an application for special accommodation. Wei wrote the letter, which was later widely shared, in which he said he could not have survived without the help of his family, and he hoped the university could provide them a room as his mother had to quit her job in Dingxi to look after him in Beijing. His letter, after being uploaded on social media, touched many hearts. And soon, Tsinghua University posted a reply titled "life is painful, please have faith" on its Sina Weibo account, promising to offer him help with his studies and day-to-day life. Wang Jincai, secretary of the Gansu alumni association of Tsinghua University, told the Global Times that the association has donated about 10,000 yuan ($1,472) to Wei's family, and that Tsinghua has decided to provide Wei and his mother free accommodation and help his mother to find a job nearby. Meanwhile, the Tsinghua University Education Foundation has established a fund to help students like Wei. "The university will fulfill its promises once the admission is finalized, and we'll release more information then," a teacher surnamed Xu from the Tsinghua recruitment office told the Global Times. Wei has not officially received an offer from Tsinghua University as enrollment is still underway. Wei is not the only disabled student who has been admitted to Tsinghua and offered financial aid. Yi Xiaoyuan, another wheelchair-bound student, now studies in Tsinghua's graduate school after completing a four-year college course there. Tsinghua financed his studies and arranged surgery for him, Xu said. "With a decreasing number of rural students being recruited to top universities in recent years, the country and universities have arranged a recruitment plan targeting students from poor families or from poverty-stricken areas in a bid to balance education resources," He Xuefeng, director of China Rural Governance Research Center at Huazhong University of Science and Technology, told the Global Times. Under the plan, universities set a lower score requirement for poor students compared with their normal admission standards. 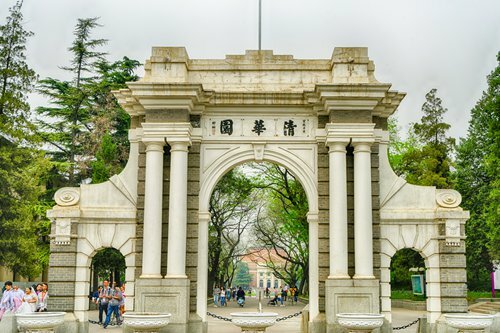 Tsinghua University enrolled 348 students from poor rural areas in 2016, accounting for 10 percent of the total students it enrolled that year, according to the university's website. However, preferential policies toward poor students, ethnic minorities and competition award winners, cannot solve the structural problems of unfairness in education, He said. "These preferential policies cost a lot in management and follow-up supervision, and some people exploit the loopholes for their own personal interests, such as to move a student's hukou (permanent residence permit) to some poverty-stricken areas in order to get enrolled with a lower gaokao score," He said. Northwest China's Qinghai Province revoked the gaokao qualifications of more than 500 students from 2003 to 2005, after they moved their hukou to Qinghai simply so they could enjoy preferential policies for ethic minority students, the Guangming Daily reported. "The fundamental solution for education equality is to ensure fair resources starting from primary schools," He said.